The family law team at Mills and Reeve has a number of specialist family lawyers who are able to help with issues relating to children, from what time they spend with each parent to relocating with your children, surrogacy, co-parenting and financial support for children. The team regularly deal with complex cases involving international issues. Where possible we recognise that family disputes can be best dealt with out of court. We have a team of mediators (including those qualified to consult directly with children) and collaborative lawyers. We recognise that in some cases going to court or arbitration is necessary and we are experienced in dealing with complex litigation and appeals. All of our family lawyers are members of Resolution, an organisation for professionals who are committed to the constructive resolution of family disputes. Members of Resolution follow a code of practice that promotes a non-confrontational approach to family problems, encourage solutions that consider the needs of the whole family and in particular the best interests of children. We are proud to support Voices in the Middle, which gives young people a place to turn in times of uncertainty. At Burnett Barker, we know that there is nothing more life changing or traumatic for a child than the breakdown of a family unit. Our dedicated family law specialists believe in taking a constructive, non-confrontational approach towards all aspects of family law, and we work closely with all parties to ensure that this difficult time is made as easy as possible. We are extremely proud to be supporting the Voices in the Middle campaign – whilst children are often at the centre of most family law disputes, too often they are either not listened to or their voices get lost in the middle of the conflict. This is a great opportunity for all partner organisations to work together to share ideas, learn best practice and ensure that we are fully supporting the children and young people who have been affected by divorce or separation. We are pleased to have supported Voices in the Middle from the very beginning. We encourage separating couples to divorce with dignity, so that their separated families can remain intact, thereby minimising trauma all around, especially for the children, who would otherwise, all too often, end up getting caught in the crossfire of a messy divorce. OGR Stock Denton has considerable experience advising on family law matters, taking pride in an approach which is both sensitive and constructive. Our areas of expertise include divorce and separation, financial issues, prenuptial agreements, cohabitation, children’s matters and international family law. We promote a non-confrontational approach where possible, offering guidance on mediation, arbitration and collaborative law. After many years helping separating families, initially as a lawyer and latterly as a mediator, my experience leads me to promote passionately the benefits of mediation and the transformative effects it can have on the whole family. I am a firm supporter of the move towards child consultations, enabling children to have a clear ‘voice’ in the process, allowing them to feel ‘heard’ and for parents to make informed decisions a collaborative way. Reading Family Mediation is a group of like-minded practitioners who formed RFM to promote good mediation practice in the local area. As experienced family lawyers and a former children’s guardian, we bring together expertise in complex financial and children matters, and have the necessary legal knowledge and experience to guide couples towards fair and workable outcomes. Our group includes a trained child consultant enabling children to have their views heard. Voices in the Middle provides invaluable support for children and parents alike and we in turn, are pleased to support this charity. I am an independent Family Mediator, trained Family Mediation Child Consultant and Separated Parent Information Programme trainer working in North West London, Buckinghamshire and the Family Court. I am supporting Voices in the Middle because as adults we sometimes assume that children share our views or that our children should not be consulted. We may be mistaken and we may not always know how to listen in a way that our children find helpful. I fully support the project because it is a place to read the stories and hear the opinions of children who have felt the impact of adult conflict and for parents and professionals to discover how to help children to feel heard and acknowledged without feeling pressured to take decisions or take sides. Barnes Family Law is based in the centre of West Yorkshire. We specialise in all family law areas but have particular expertise in resolving arrangements for children on separation in a non confrontational way that promotes agreement between parents, never forgetting that the children in the middle need – wherever safe – to maintain a strong relationship with both parents. We regularly advise parents that it is not the children’s fault their parents no longer wish to be together. Sadly parents can sometimes lose sight of this in the emotional turmoil of a relationship breakdown. Separation and the end of a marriage are hard on the whole family. In times of stress, uncertainty and anxiety we work with the family unit to ensure that even the voices of the youngest members are heard – their needs, feelings, and emotions are just as important as deciding who lives where, who gets the car, and how to move on from the breakdown of a parent’s relationship. We support parents who live apart to continue a co-operative parenting relationship through child focused mediation and direct consultation with children. We believe that an understanding of the needs of children and young people, and an ability to listen to what they are saying, lie at the heart of good adult decision making. 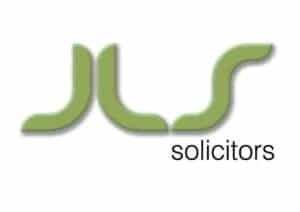 JLS Solicitors’ objective, whenever possible, is to try and resolve all aspects of the issues arising between a separating couple through dispute resolution options such as mediation, collaborative law or arbitration. In our view, Family Law is a unique area of the law, requiring a holistic, practical, and particularly non-confrontational approach that considers the family as a whole and we uphold the principal that children’s welfare is a priority. Our two specialist solicitors, Justine and Arabella, have six children between them and a practical insight into parenting, teenagers, and blended families. The family team at Simons Muirhead & Burton provides an exceptional service to those going through divorce or separation or dealing with its aftermath; providing specialist legal advice (sometimes in the most complex of situations) together with practical guidance and support when needed. We always remember the context in which we’re working and strive to help minimise the emotional and financial cost involved. The family department grows from strength to strength and is recognised and recommended both in the Legal 500 and Chambers Directory. Voices in the Middle is a great cause, which we as a firm are proud to support. Far too often children are left without a say when their parents separate and this project goes a long way to raise awareness of this issue and give children a much needed voice. 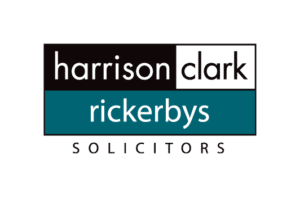 Harrison Clark Rickerbys are a leading law firm in the West Midlands with offices across the region. The firm’s Family Law team is recognised and recommended by legal guides. Fifteen years of working within family law (as a solicitor and then as a mediator) taught me that there was a desperate need for support for children whose parents separated. Voices in the Middle offers this much needed support to young people and has aspirational ambitions to reach every child who experiences the separation of their parents. I’m proud to be supporting their work. Batt Broadbent are a firm who are passionate about ensuring people are treated fairly. Our Family Department work tirelessly to ensure that family issues are dealt with tactfully and with as little upset to the family as possible. Many family issues can cause emotional distress and, in particular, to children whose voices are often lost in the turmoil of this difficult time. By supporting Voices in the Middle we hope that we can help children to be empowered to explain how the breakup of their family is affecting them to ensure that they receive the support they need in order to get through this often traumatic period.